Why Don’t The Rays Draw? Why don’t the Rays draw? Despite an AL championship in 2008, a division title in 2010, an exhilarating wild card win in 2011 and a playoff appearance in 2013, the Tampa Bay nine never seem to be playing to a full house, or often even a half-full house. Even in the last game of the season in 2011, arguably the biggest regular season game in franchise history and with the Yankees in town bringing their own fans, only 27,000 people passed through the gates. The Rays have been playing exciting baseball in recent years, and doing so with a fraction of the payroll (and ticket prices) of the Yankees and Red Sox. Yet they almost never sell out the Trop, and are consistently among the worst in team attendance. It’s a sad indictment of the market, unfortunately, because there’s nothing lacking in the dedication of existing Rays fans. Their TV numbers are as good as most teams. 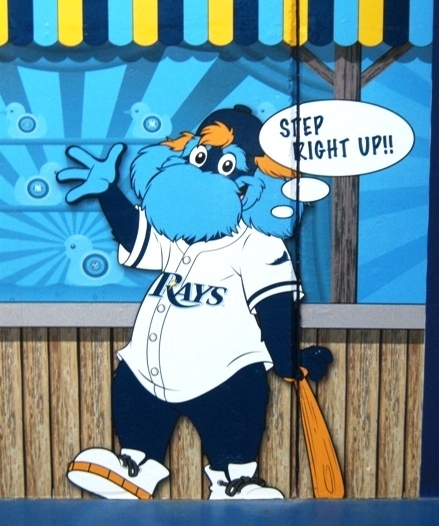 I’ve read a few things about why the Rays don’t draw well and have my own opinions on it. I think it’s a combination of several factors. First is the venue. Tropicana Field is not the most baseball-friendly place to see a ballgame. It’s indoors, concrete, has artificial turf and just generally has a sterile feel to it. The Trop is the last non-retractable roof dome in baseball, and it’s one of only two with plastic turf (Rogers Centre in Toronto is the other, and even Rogers may have grass soon). Florida is the Sunshine State…who wants to go where there is no sunshine, for a ballgame of all things? The sign should include “where most of the fans are”. Second is the location of the ballpark. 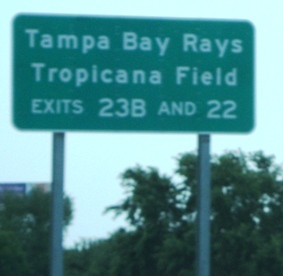 The Trop is in St. Petersburg, a fairly good distance through heavy traffic from Tampa, where a good portion of the population center of the market is. 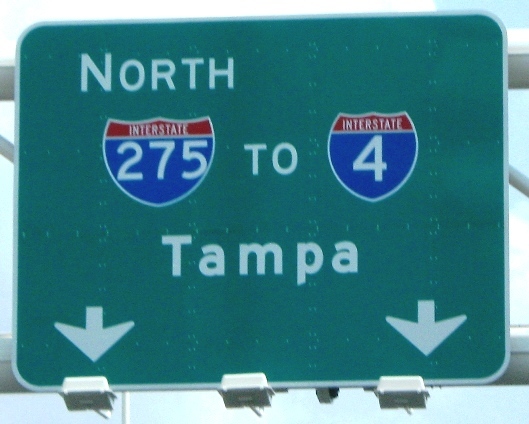 Tampa residents do not particularly like the drive to the ballpark from what I’ve read, which can take a long time during rush hour…which, in theory, is when everyone would be going. Third is the market in general. Many Florida residents are transplants, and as such are fans of the Yankees, Red Sox, Phillies or another northeast team. 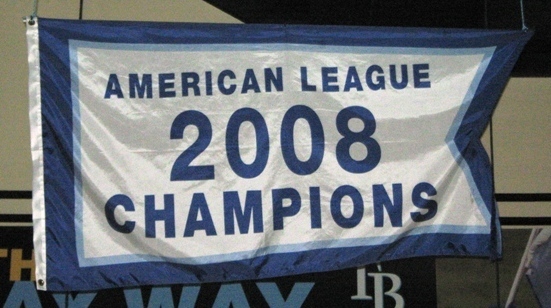 The Rays are a relatively new team, and up until 2008 they were perennial cellar-dwellers in the American League East. While the turnaround has been very impressive, a few competitive years don’t exactly make the Rays a storied franchise, and a local fan base still dedicated to other teams won’t grow so quickly. Finally, not many people point this out, but no baseball venue in North America has so few options for getting to the ballpark. It’s so big we have TWO exits! The Trop is easily accessed by car, but there are few trains or buses to speak of that will take riders to the game on a nightly basis. There are some novelty options like the Brew Bus and Rally Bus, but nothing resembling the Red Line in Chicago or the Broad Street Line in Philly. On top of that, many will tell you that the drive from Tampa and its suburbs to the Trop is brutal on weeknights. The Pinellas Suncoast Transit Authority does currently have bus routes that stop at or near Tropicana Field; it is in the heart of downtown St. Petersburg so that isn’t difficult to do. The problem is that none of the bus routes can be used for night games; most buses have their last run from the area at around 10:30 or so, which might be doable but would certainly preclude seeing extra innings. So the Rays have all of this going against them, and the last three reasons may have been why baseball was reluctant to encourage the Tampa Bay area government to build a stadium to lure a team back in 1990. They built the then-Suncoast Dome anyway, and were cruelly used as leverage for the Giants and White Sox before baseball awarded them the Devil Rays in 1998. If the Pinellas County government is in a good mood, they might even create a separate lane for the Rays bus on game nights. It could stop at several locations within the city and suburbs, and be available in case people need to leave early. Or they could work with the PSTA on providing such a shuttle; they already have routes in place with a long reach in the area. Then there is the venue. The Rays are rumored to be pushing for a new ballpark; but you never actually hear anything concrete from Rays management. They signed a lease when arriving in Tampa Bay, so presumably they’re at Tropicana Field until 2027. But we all know contracts don’t mean squat when there’s millions to be made for team owners and municipalities. They should sell tickets for the catwalks. 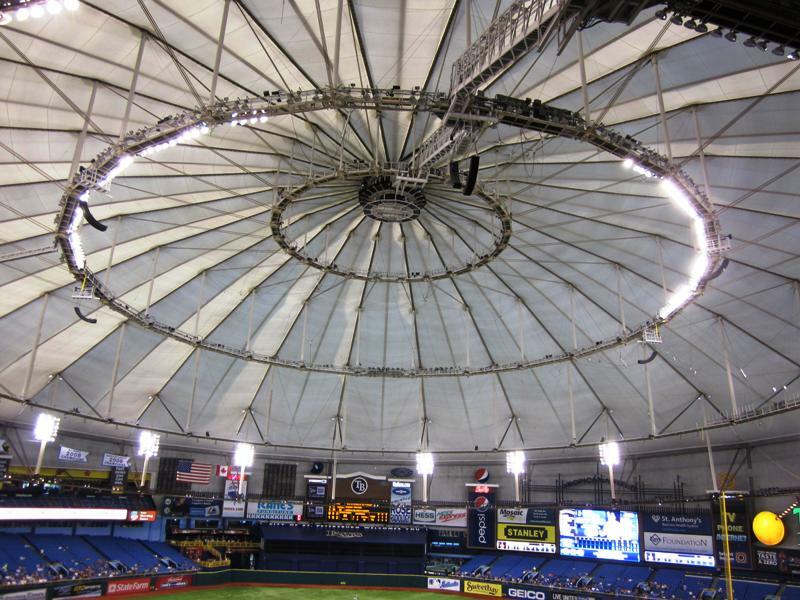 Could the Rays afford to turn Tropicana Field into a retractable roof dome? I can’t say how hard that would be, but I imagine it could be done. A dome is great in Florida summer heat or the nasty thunderstorms, but no one wants to go inside to watch a ballgame on a beautiful 80-degree April day. Guaranteed Rate Field in Chicago, Kauffman Stadium in Kansas City, Angel Stadium in Anaheim and Fenway Park in Boston have all undergone significant changes, generally costing less than what a new ballpark would cost. I expect taking the roof off of the Trop would be much harder, but replacing it with a retractable roof and replacing the turf with grass would go a long way to making the Trop a much more appealing venue. That, however, is a very long shot. The team may convince St. Petersburg to let them out of their lease, and get a new ballpark built in Tampa, but thus far that is a no go with St. Petersburg folks, and rightly so. Regarding the market and the transplants, the Rays may not need more than a few more years of quality baseball to turn the tables in their favor. After all, if you can see a team capable of beating the Yankees and Red Sox for as little as $9 for a game and park for free, fans have incentive to take their children to the game. It stands to reason that younger people especially may grow fond of this team over time, especially before they start to travel and see superior ballparks. The Rays’ ticket affordability should help with that…as more parents bring their kids to the game because they can, the Rays may be gradually building a future fan base. Some cities just don’t do well as a baseball market. Atlanta does well enough, but you would think for all of the team’s success that they would draw better than they do. Miami hasn’t proven it wants a team yet, even with a shiny new retractable-roof ballpark. There are a few answers to the question of “why don’t the Rays draw”. But I don’t yet accept that the Rays won’t ever fill their ballpark to capacity every night someday. If this team keeps playing competitive baseball and finds a way to bring the far-flung fans in, they may yet turn around their attendance problem. I’d be cool with that. I like the team’s colors. And truthfully, the Trop isn’t all that bad. Do you love to visit ballparks and see live baseball? Subscribe to the Ballpark E-Guides e-mail newsletter today, and fill your scorecard with useful and entertaining info about your favorite ballparks, money-saving “tips of the week” for frugal fans, and of course, specials on the incredibly informative Ballpark E-Guides! 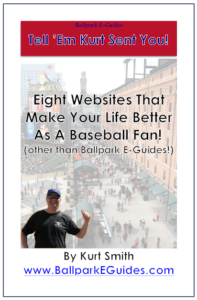 You’ll also score this eBook, listing some of Kurt’s favorite sites for traveling baseball fans, absolutely free of charge…just for stepping up to the plate and subscribing. Get on base without swinging the bat…sign up today!